by Percy W. Blandford. Softbound, 128 pages, 8-1/2" x 11". One of the world's most ancient crafts still remains completely viable in our modern age. 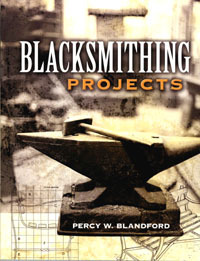 In this "idea book", the author details twenty-four different projects, from how to make punches and chisels to constructing long-lasting lawn furniture, plant stands and candlesticks.